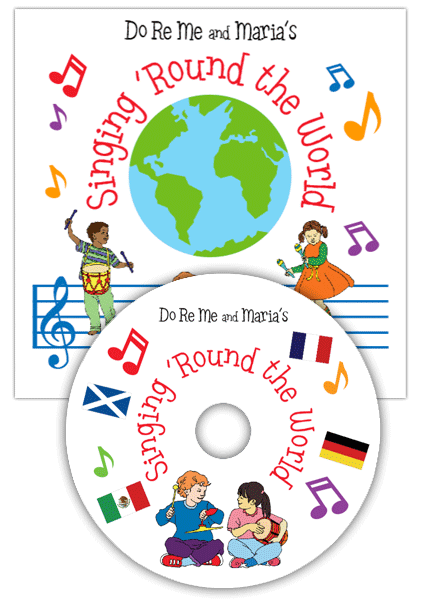 Singing ‘Round the World is the second CD from Do Re Me and Maria’s preschool music curriculum, World Music and Rhythm Talk. 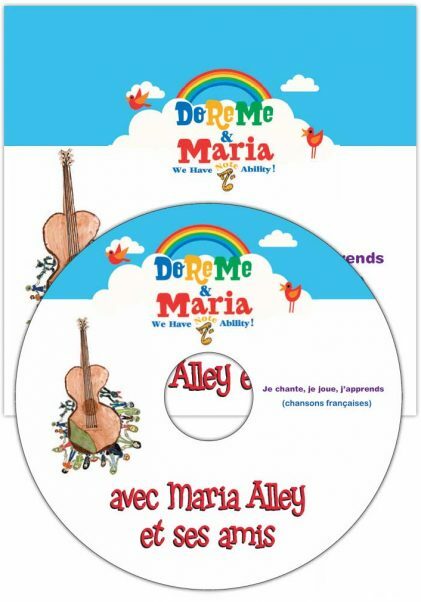 It has been so popular that we are offering it separately. Join us as we take a trip around the globe, visiting many countries along the way. 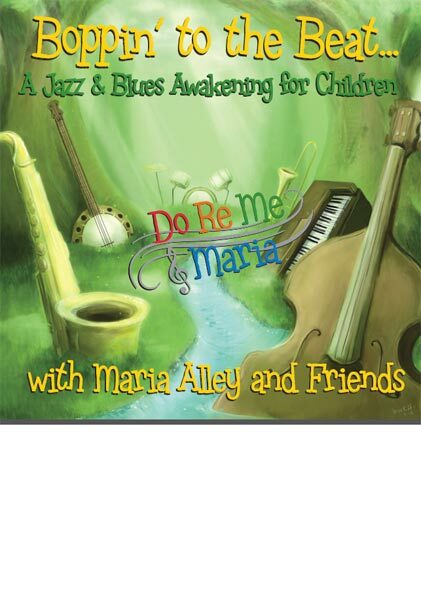 We will travel to Mexico by jet plane to learn the Mexican Hand-Clapping Song and the Mexican Hat Dance, journey to Scotland to learn and dance to some Gaelic mouth music and take a tour through other European countries such as Germany, The Netherlands, Russia, Croatia, Poland and Greece where we will encounter stories, songs, dances and games played by the children of that country. 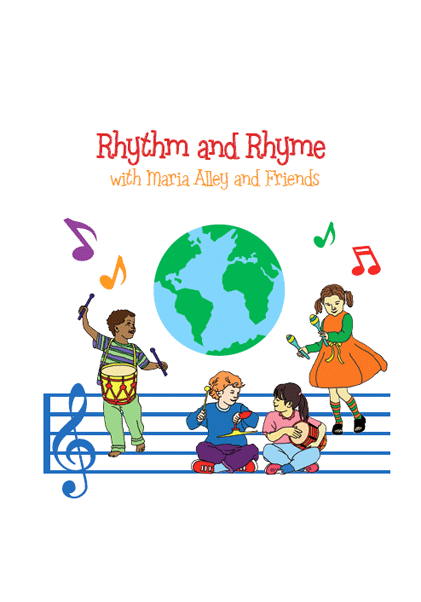 We will experience the percussive sounds of the Djembe drum while learning a call and response song from West Africa, and swing on the Hindola in India. 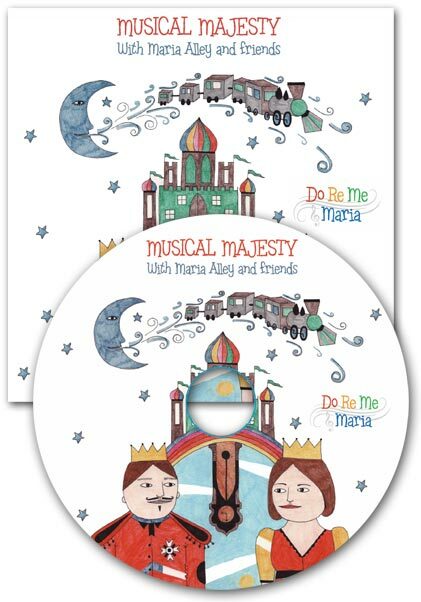 Scroll down for music samples from the album.